This lentiviral CRISPR library targets 1,594 primary human miRNA genes. 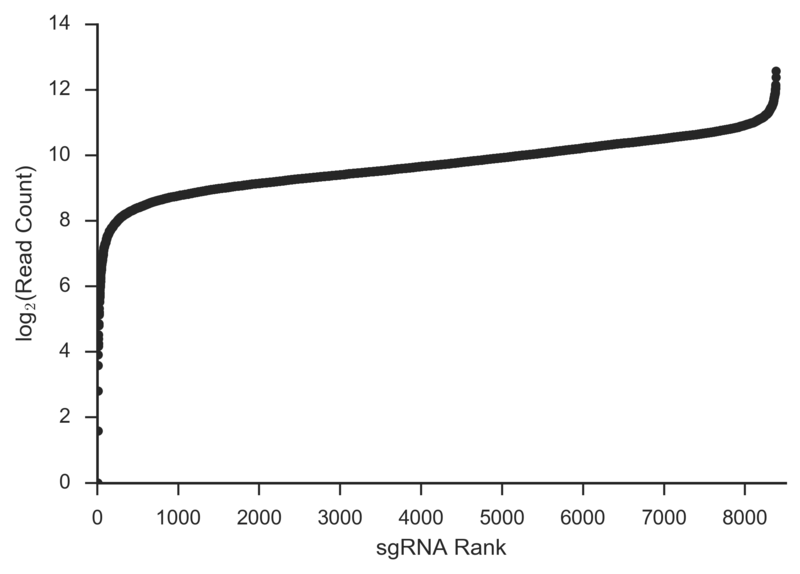 The library contains 4-5 gRNAs per gene and 1,000 non-targeting control gRNAs for a total of 8,382 gRNAs. † A Cas9 plasmid is NOT included with this item and will have to be ordered separately. Can be used in conjunction with pCW-Cas9 (Addgene #50661) or otherwise with cell lines already expressing Cas9. This library is delivered as suspended DNA in a microcentrifuge tube on blue ice. The tube's contents will not necessarily be frozen. For best results, minimize freeze-thaws. Depositor recommends publicly available algorithms such as btrim and bowtie for data analysis.